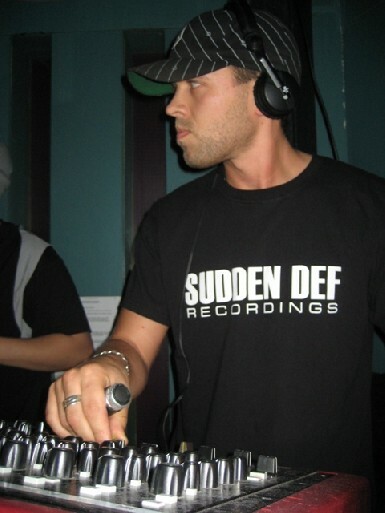 Since those early days Inter has continued to progress, he is co-founder and A&R manager of the ‘Sudden Def Recordings’ label group which incorporates the Sudden Def & Def:Ltd imprints. Inter launched Sudden Def Recordings in 1998 alongside his brother Bridge, who still share the workload between them today. The label has now released over 50 singles and is receiving more recognition today than ever before; especially with recent singles featuring Noisia, C4C, The Green Man, Skynet, Basher, Shimon, Xample, Amaning, DJ Samurai, Sleepercell & Loxy. The label also released a compilation CD in October 2007 and featured a mixed CD, which was done by Inter. A DJ first and foremost Inter has been playing out regularly for over 10 years. These have included Innovation in the Sun (2007 & 2008), A.W.O.L., One Nation, Metropolis, Slammin Vinyl, Soul In Motion (Canada), Forms (Holland), Twist (Madrid) plus many more including the residency at the many Def:inition events, which he promotes as part of the Sudden Def empire. Definition is one of London’s busiest promotions and in May 2008 celebrated it’s 3rd birthday and the end of it’s monthly residency. The promotion has now stepped up a level and is running 2 bi monthly events at different London venues, including the Definition Soundclash parties that attract 600 people a time.